Anna Kolacny has been practicing the teachings of eastern religion and philosophy for decades. 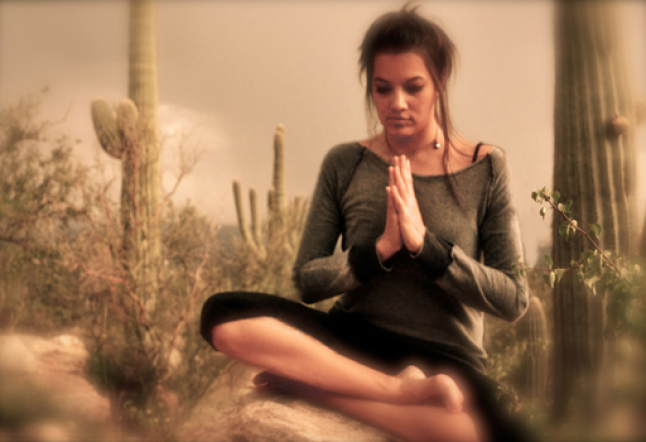 At just 15 years old in her hometown northwest of Chicago, Anna began of her Yoga journey. Armed with an old poster written in Sanskrit, Anna became her own guide until 2001, when a neck injury brought her to practice Anusara Yoga in L.A and she discovered her inspiration and passion for the therapeutic effects of yoga. 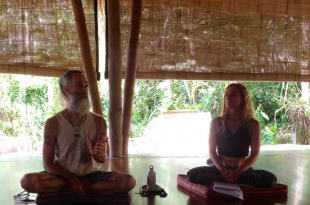 For the last 10 years, Anna has devotedly spent thousands of hours with senior level Anusara teachers, including Anusara Certification board member Noah Maze and Anusara founder, John Friend. Anna attributes her current wave of enrichment to the beauty of her Philosophy and Meditation teachers Carlos Pomeda, Sally Kempton (Swami Durgananda) and Shrividya Shakta Tantric Scholar, Douglas Brooks. Her journey into this self-discovery of transformation has seen Anna combine Yoga with an extensive background into health & nutrition creating an environment that nurtures students to discover their true selves. Her classes are dynamic, playful and challenge both body and mind. Currently, Anna teaches classes and workshops across Asia. For an up to date schedule visit her website.